Dark Wizzy is a Super Smash Bros. Ultimate Mario player from from the city of Albany, New York, considered to be the best Mario player in the world. He has taken sets off of players such as Light, Manny, and Nietono. He frequently teams with Salem, where they have placed 1st at Smash Conference United and GENESIS 6. In Super Smash Bros. for Wii U, Dark Wizzy was also a Mario player, considered to be one of the best Mario players in the United States alongsinde ANTi and Zenyou. Dark Wizzy is known for being a young yet extremely competent smasher, utterly dominating the Capital Region of New York, being undefeated by players within the area, and is one of the best players in all of upstate New York. He is additionally considered to be one of the best Mario players in the world. Dark Wizzy is also known for being especially potent in doubles play, where he can place highly in doubles events teaming with about any player, and has placed top 8 in majors with his preferred partner, WaDi. He has taken sets off of players such as CaptainZack, Cosmos, Fatality, Light, ESAM, WaDi, Marss, Zinoto, and Shoyo James. 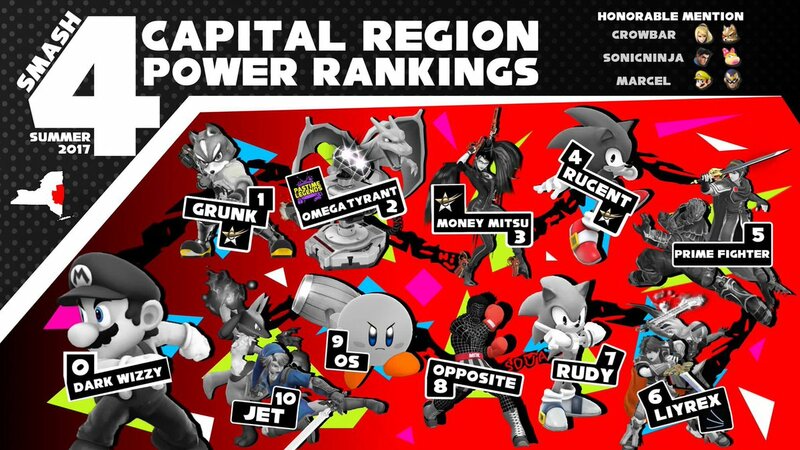 Dark Wizzy is currently ranked 0 on the New York Capital Region PR and 95th on the Panda Global Rankings 100. 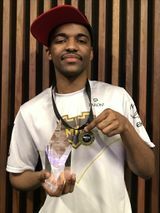 On January 24th, 2019, Dark Wizzy joined Most Valuable Gaming on his birthday. Dark Wizzy is mostly known for his extremely potent punish game and his "touch of death"; he has a mastery over Mario's combos, where he'll regularly lead each hit into a highly damaging combo that goes beyond the typical Mario fare, making getting grabbed by him an extremely threatening prospect. And while Mario typically struggles to combo into KO moves, Dark Wizzy has a knack of finding various ways of leading his hits into a forward aerial or one of Mario's smash attacks for an early KO. Smash @ The Cave #34 August 11th, 2016 — 1st WaDi ? MIUS: Curtain Call August 19th, 2017 3rd 1st Ned ? Shine 2017 August 25th-27th, 2017 13th 7th WaDi ? Overclocked December 16th, 2017 7th — — ? Quit Your Friendlies! February 17th, 2018 1st 1st SDX ? Overclocked II March 17th, 2018 7th 3rd Dabuz ? Collision XV March 31st, 2018 5th 1st Mr.E ? Immortal Tech April 28th, 2018 9th 1st Light ? ALPHA II June 9th, 2018 9th 1st Mr E ? Overclocked III July 14th, 2018 1st 1st Marss ? Shine 2018 August 24th-26th, 2018 7th 5th Mr.E ? Curtain Call 2: Encore September 1st, 2018 2nd 1st Salem ? Glitch 5 September 29th, 2018 5th 1st WaDi ? The Big House 8 October 6th-8th, 2018 25th 4th Salem ? Being comparable to Wizzrobe as a smasher of a very high skill level despite their young age, Dark Wizzy chose his tag at the suggestion of PB&J, being said to be the "black version" of Wizzrobe. Dark Wizzy significantly prefers playing doubles over singles, and at tournaments will usually opt to play doubles friendlies over offers for 1v1s. Dark Wizzy has a deep hatred for Sonic, and has the opinion that nobody should ever try to play the Sonic matchup as Mario. Though he has started to change that after Ally defeated both Wrath and Komorikiri at MomoCon 2017. However, according to this tweet, he does in fact still hate Sonic. ↑ Dark Wizzy joins MVG. This page was last edited on April 21, 2019, at 16:19.